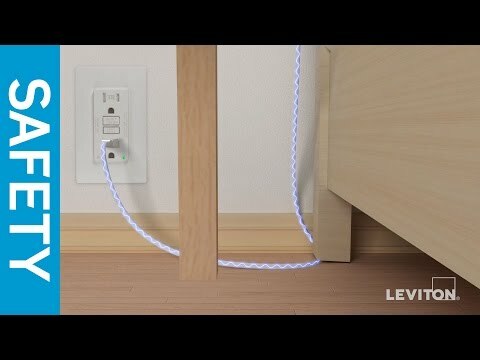 Leviton SmartlockPro® 2-Pole 3-Wire Tamper-resistant AFCI receptacle/outlet in light almond color, has voltage rating of 125-Volts and current rating of 20-Amps. The residential/hospital grade receptacle accommodates 14 - 10-AWG conductor. It features back and side wired terminal connection for easy installation. It has polycarbonate body and thermoplastic face. It measures 3.81-Inch x 1.68-Inch x 1.38-Inch. The receptacle withstands dielectric strength of 1250-Volt AC. It has brass contact for optimal conductivity and galvanized steel strap. It withstands temperature range of -35 to 66 deg C.
The self-grounding receptacle has NEMA 5-20R configuration. It has V-2 per UL94 flammability rating to withstand harsh environmental conditions. It has line-load reversal diagnostic feature. It offers superior resistance to electrical surges and over-voltages. It is compatible with all Decora® devices and wallplates. It includes monochromatic, nylon wallplate/faceplate, screws and self grounding clip. 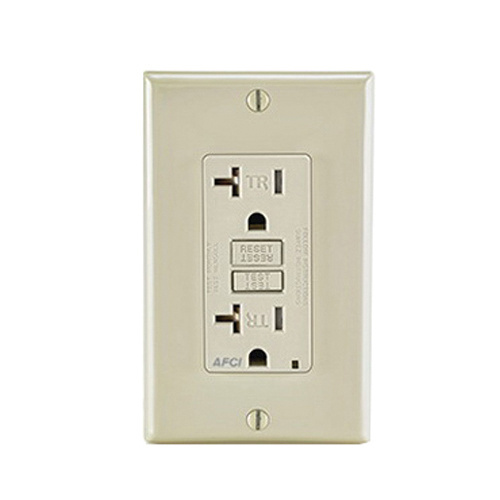 AFCI receptacle/outlet is UL listed, CSA certified and meets ANSI standards.